Arguably the biggest challenge facing any audio system is matching the dynamic range of real life: not just the power and scale of real instruments, but also the micro dynamic subtleties, harmonics, and the immediacy of the energy they produce. Collectively these qualities define the system’s ability to imbue the recording with a sense of musical presence, the impression of real instruments in the same space as the listener. You can add ever more power to your amplifiers and buy increasingly efficient speakers to give the system greater headroom, but that’s only half the battle (and financially and practically speaking, a losing battle at that). At the other end of the scale, banishing noise – making the system quieter – delivers equally if not more impressive gains and does so at a fraction of the price and domestic impact. The whole issue of dedicated supplies barely raises its head, with clean grounds an even rarer topic of conversation. Yet as I’ve already stated, both options deliver musically crucial benefits in terms of noise performance and musical integrity. Why aren’t they automatic steps in establishing any audio system? Partly one suspects, because most of the dealers doing the advising and installing the systems would rather sell another box or a more expensive box than hand off the business to a third-party electrician. There again, it’s not always possible to achieve a clean ground: It’s all very well saying bury a ground post in the garden, but that doesn’t help someone living in a third floor apartment (and let’s also point out that your clean ground runs parallel to and isn’t a substitute for the main AC ground – it’s called a safety ground for a reason!). But there are two things that we can say with absolute certainty: Given the ever-increasing amount of airborne and mains-borne pollution we suffer these days, any system will benefit from sensible attention paid to the quality of its AC supply and grounding arrangements: Secondly, irrespective of the steps you can (or can’t) take to ensure AC and ground integrity, there’s nothing to stop you extending the provision both within the system itself and beyond the electrical into the mechanical realm as well. The notion that electrical and mechanical grounding are directly equivalent might seem alien, but in reality they both act on the system’s performance in exactly the same way, banishing spurious noise and lowering the noise floor. Just as the AC supply and equipment support are both crucial aspects of system infrastructure, helping define the operating conditions (and thus the potential performance of all those expensive boxes of electronics) so mechanical and electrical grounding act in concert. In issue 143, Alan Sircom discussed Nordost’s Sort products, a range of components that offer mechanical grounding solutions across the complete system: it should come as no surprise that the various all-Sorts are designed to operate in tandem with and demonstrably deliver their best performance when used alongside the company’s QRT AC distribution products. But these are only one example of a new understanding and a new category of infrastructure solutions, second generation grounding products designed to operate within the system itself to eliminate spurious noise and distortion. Let’s look at three such products that promise to put a smile on the face of any system – and its owner. CAD’s Ground Control boxes are not the first of their type – that distinction belongs to Entreq, who have been offering their timber clad grounding boxes for some years. However, the CAD GC1 is smaller, considerably more attractive and also more effective than the agricultural-looking Entreq Silver Tellus. On paper, the svelte GC1 looks more expensive, but then just like its size, that is deceptive as it includes a ground cable in the price – a considerable extra cost when it comes to the Entreq products. 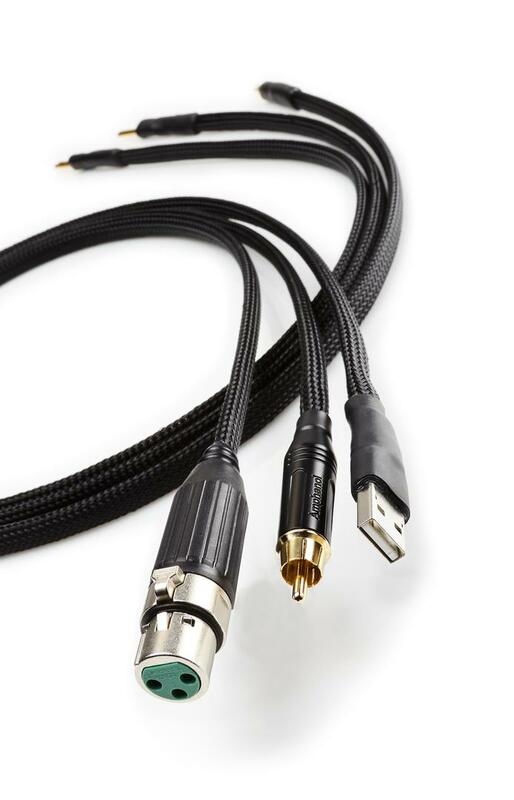 Termination is user specified to suit, with options embracing everything from USB or BNC to XLR or 4mm plug. The box itself is a long, narrow acrylic case with a beautiful matte milled surface. Two 4mm sockets on the back are all the options it offers for connection, while its narrow footprint makes accommodating it within an existing rack a distinct possibility. Attractive, practical, and supremely effective: none of those qualities are an accident. 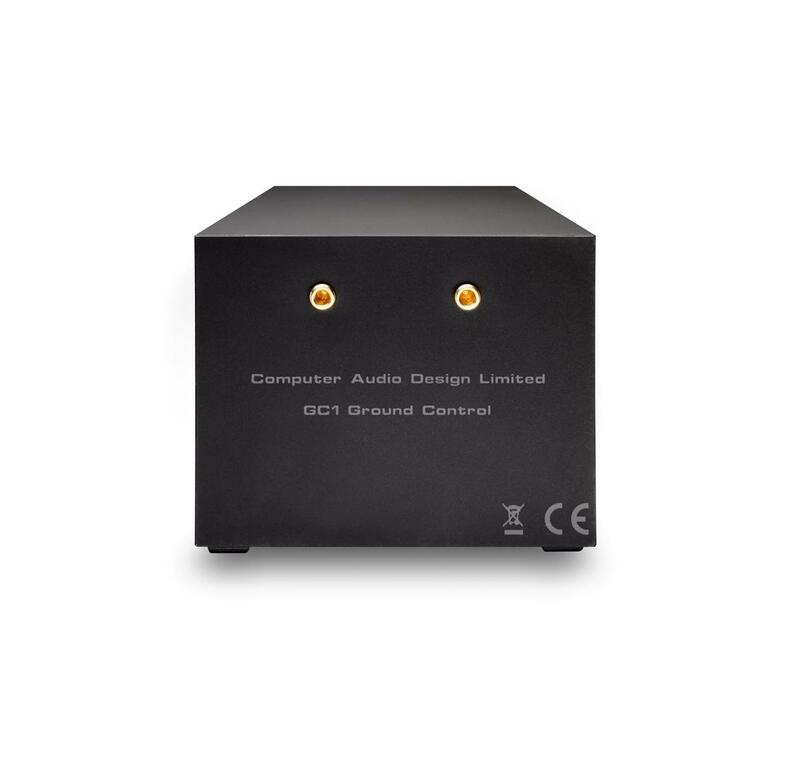 The GC1 was developed specifically to partner CAD’s DAC and source components. The simple truth is that the vast majority of network elements and NAS drives emanate from the computer industry, a market in which noise is far less of an issue and most products are prepared to dump the sonic equivalent of raw sewage straight back into the AC ground – where it promptly pollutes the feed to and performance of not just the associated DAC, but any analogue electronics connected too. The GC1 was developed to act as a super effective sonic sponge, soaking up that noise before it got to degrade the performance of the CAD DAC. It was housed in the same chassis material as the parent product and designed to sit alongside it or on a shelf cluttered with the multiple smaller units so common in computer audio set ups. What makes it so effective? Inside is a wad of high-tech composite sandwich material that converts noise on the system ground to heat, before it can do any damage; an arrangement that helps explain the dramatic increase in efficiency (and thus the smaller size) when compared to Entreq’s ‘box of ground’ approach. Where the Ground Control really comes into its own is once you hook it up to the central ground point of the system as a whole – in my case the ground terminal on the QRT QB8. That produces an even bigger difference – and it does it for all sources. Now, if you are wondering why there are two sockets on the back of the GC1, it’s so that you can daisy chain them together for greater capacity – something that’s definitely needed with the main system ground. Fortunately, CAD learnt from their experience and produced a larger GC3 – more than three times the composite material in one, standard chassis box for around twice the price of a GC1. If you thought the GC1 was impressive on your digital equipment then wait until you hear the GC3 on the main system ground!